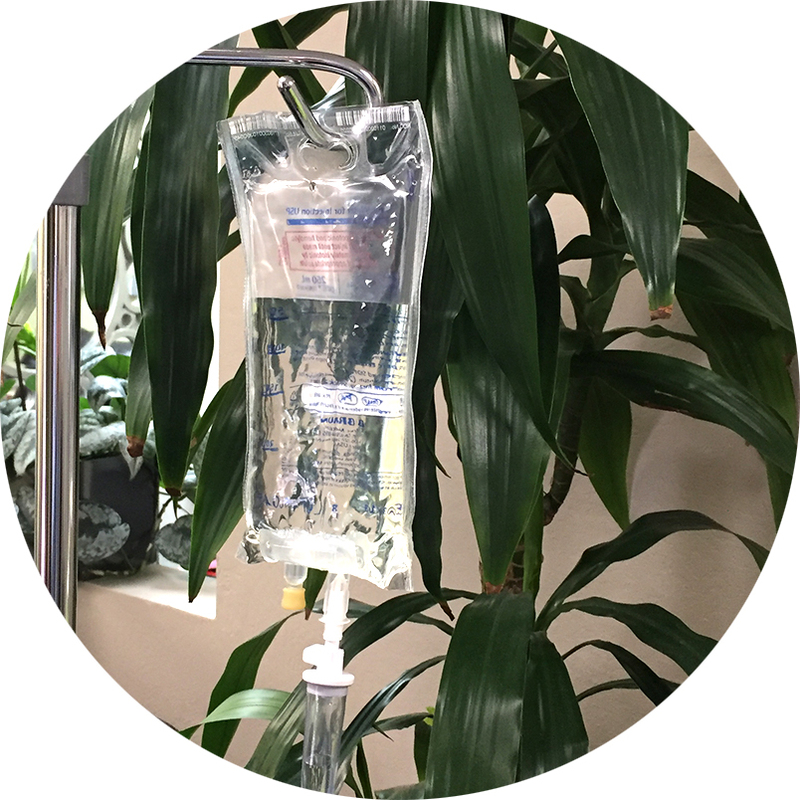 iv therapies are recommended by physicians for a variety of reasons. iv therapy has been known to reduce inflammation, increase daily energy, boost cognitive ability, support the immune system, support adrenal function and replenish nutrient deficiencies. At naturopathic specialists, we us iv vitamin C therapy to aide in the effectiveness and reduce the side effects from surgery, radiation, and chemotherapy. Occasionally, iv therapy is recommended as an alternative cancer treatment. There are many benefits associated with iv therapy. If you have just had surgery: iv therapy increases wound healing, increases collagen production (muscle and skin fibers) and may reduce risk of post-surgical infections. iv therapy may also be recommended if you have already had surgery, but are having a difficult time healing. If you are undergoing or have undergone chemotherapy: iv therapy reduces side effects, particularly fatigue, and may increase the efficacy of certain chemotherapies. If you are undergoing or have undergone radiation: iv therapy reduces fatigue associated with radiation therapy. By replenishing the tissue with vitamin C in between therapies, there might be an increase in radiation effectiveness. As an alternative cancer therapy: iv therapy may be effective at keeping the tumor at its current location and reducing metastatic spread; it may also be effective at reducing tumor size. iv vitamin C possibly kills cancer cells by increasing hydrogen peroxide either in the tumor or in the tissues immediately adjacent to the tumor/cancer cells which effectively causes tumor lysis or death. iv vitamin C therapy may also increase immune activity, so that the competent immune cells can go and kill cancer cells. Vitamin C (ascorbic acid) – Ascorbate is a strong free radical scavenger. By creating high plasma levels of vitamin C via iv therapy, the belief is that it is a preventative to help stop further cellular damage and provoke a good immune response. iv vitamin C strengthens the body on a cellular level against infiltration of neoplastic cells, which promotes cytotoxicity of cancer cells and leaving the good ones alone. Vitamin C aids in wound healing as well. Ascorbate is involved in many processes of the body and is required in the synthesis of carnitine from lysine, neurotransmitter synthesis, cholesterol metabolism, detoxification of exogenous compounds and as an antioxidant. Alpha Lipoic Acid (ALA) – ALA is chiefly an antioxidant, which has been shown to influence a variety of biological processes associated with oxidative stress, including diabetes, liver disease, and cancer. It has been shown to be helpful with diabetes, prevention of vascular disease, hypertension, and inflammation. ALA has also been shown to improve glucose and ascorbate handling. It is helpful in preventing or treating neuropathy associated with certain chemotherapies. B6 (pyridoxine HCl) – B6 is a co-factor for over 100 enzymes, B^ aids in protein and fatty acid metabolism, red blood cell (RBC) formation, and helps with the productions of DNA and RNA. B6 is needed for GABA production, amino acid formation, female hormone production, tryptophan, histamine, and B3 formation. It also helps to lower homocysteine. B5 (dexapenthanol) – supports the adrenals in in producing steroid hormones, supports healthy cholesterol levels, and aids in the synthesis of coenzyme A in fatty acid synthesis. B5 is required for carbohydrate metabolism, fat and protein synthesis, and it helps the body to make ATP (energy). B Complex 100 – B complex 100 is a combination of thiamine (B1), riboflavin 5’phosphate sodium (B2), pyridoxine HCl (B6), dexapenthanol (B5), and niacinamide (B3). Can help with many cellular processes, energy productions, and support the immune system and nervous system. Glutathione (GSH) – Glutathione plays a role in catalysis, metabolism, signal transduction, gene expression and apoptosis. It helps to detox Tylenol, steroids, heavy metals, drugs, etc. Regenerates vitamin C in the body. Selenium – Selenium aids in detoxification of heavy metals, supports the thyroid, and aids in prostate health. It also increases the natural killer cell function, reduces inflammation, and aids in the production of glutathione. Magnesium sulfate 50% - Magnesium regulates the intracellular flow of calcium. It is needed for natural regulation of blood pressure, making ATP (energy) for the body, and is involved in over 300 metabolic reactions in the body. It may be used for osteoporosis, hypertension, insomnia, cramps, arrhythmias, migraines, asthma, and fibromyalgia. Calcium Gluconate 10% - Calcium helps to strengthen bones and teeth, helps with muscle contraction and nerve transmission and can help lower blood pressure. It also aids in the maintenance of the immune system, and glandular secretion. Some information supports that it will help with the prevention of colon cancer, anxiety, depression, and even kidney stones. B12 (methylcobalamin) – Vitamin B12 (given per IM not IV) helps the body process amino acids, aids in forming normal and long chain amino acids, supports the nervous system, and energy production. It is used to help treat pernicious anemia, depression, fatigue, and peripheral neuropathy. Have questions? Would you like to set up a free 10-minute phone consultation with one of our doctors to see how we can help you? Call us at 480.990.1111 or simply click here to get started.